It may be mostly unknown but reading in bed can lead to a lot of future back problems if not done correctly. Sitting slouched against headboards or putting yourself in what you may think are comfortable positions can actually contribute to long term back damage. With leisure reading steadily getting lower each year, it is a good idea to ensure our reading habits can continue to be an enjoyable experience but also keep us healthy over the long term as well. The easiest thing we can do to ensure our own health is to be sure we are sitting with a good posture by using a backrest pillow. Why Is Support in Bed Important? Posture is everything when sitting in a bed and is what can make or … break us. (no pun intended!). Ensuring our back is in the right position while we are reading is what can keep us from aches and pains as we get older. You can use a nest of pillows in strategic positions against your back and neck but there is truly an easier and safer way of doing this. Enter the backrest pillow, a pillow that is specifically designed to hold your back in a position that is natural for the spine and support the key components of your neck, back and arms as you get wrapped up in that excellent novel you just started. 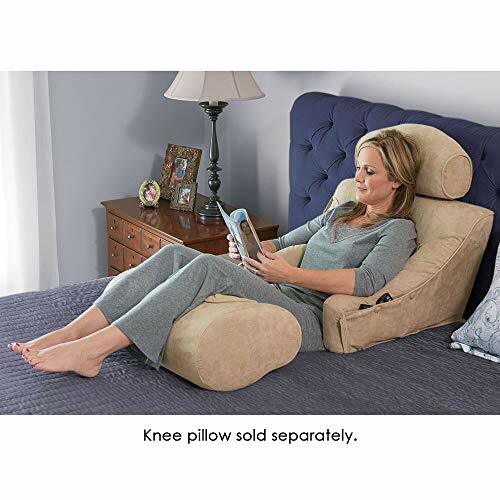 Back rest pillows can be simple, or they can have all kinds of options and extras that are useful when you are spending the evening in bed reading or doing other activities like watching TV, checking in on your phone or tablet, or even playing video games. In this article, we will take a look at 10 of the best backrest pillows that we feel are great for keeping yourself in a healthy sit-in-bed posture. 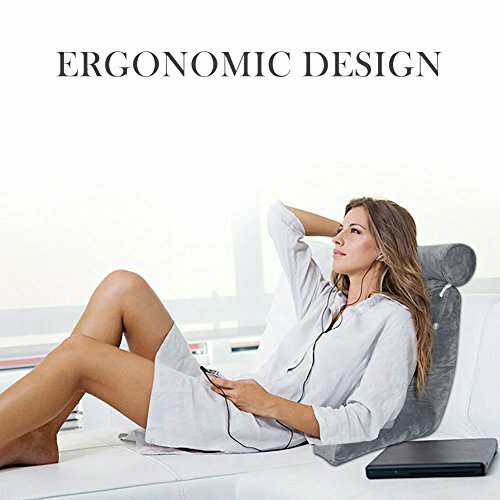 Avana offers a complete orthopedic system that is useful for all your bed relaxing activities. This is a four-cushion system that gives the ultimate in complete comfort. There is a Back Scoop that is the base of the system. This piece offers lumbar support and is the base for the Scoop Cradle. The Scoop Cradle is what cradles your back in place. This piece can be adjusted by sliding it up and down over the Back Scoop to adjust to different body heights. This piece offers further lumbar support and can give you a reclined position right to a full sitting upright position. A Headrest is included to fit right in the crook of your neck to be sure the head is supported while you are reading. This is very important. This part is also adjustable so you can also use it for watching TV or playing video games. Keeping this piece in the right position will ensure you don’t experience neck fatigue while you are doing your activity. The final piece is a Knee Rest that fits under your knees. This keeps your hips placed into a natural position keeping any stress off your lower hip and back joints while keeping your knees and lower legs supported. All of the pieces are made of a very comfortable polyurethane foam that gives just the right level of support, and then an additional layer of memory foam helps to contour and cradle your body. The covers consist of a plush rayon made from bamboo on the top and then covered in a microsuede on each side for that perfect combination of comfort and style. All of the covers are removable and machine washable so cleaning is very easy. The Avana Support System is an all-around relaxing comfort system that gives you full support and adjustability for your back to ensure that your spine is kept in the proper position while you are lying in bed. It can be used for sleeping, but its more firm construction may not be comfortable for everyone. If you are considering this for medical reasons such as back or shoulder problems, be sure to check with your doctor first to be sure it is right for you. The Superior Comfort Bed Lounger is a two piece back support system for your bed. Superior comfort and back support mean you can read longer, watch TV in comfort or play your video games. This bed lounger has a large bottom, back piece that has good size arm rests and a head support pillow. These are all the components needed to ensure full body support while reading in bed. The back lounger has a soft, flexible plastic frame that adjusts to your body movements and keeps optimal support while laying down. The armrests are long to give more comfort to elbows and forearms and can pivot inward and outward to help support body weight. The headrest is adjustable for people of different heights and gives decent head support without adding stress to your neck. The interior is made of aircraft grade foam, a feather down filler, and a fleece fiber filler all cradle your body in amazing comfort and yet still provides enough firm support. The covers are done in a soft microsuede fabric and are removable and machine washable for easy cleaning. 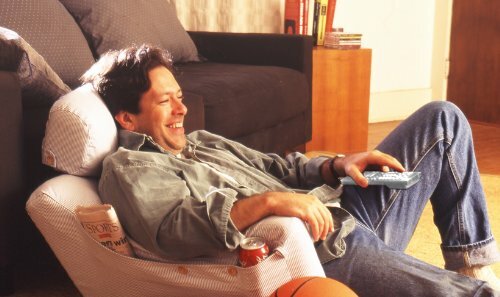 Full-length arm pockets on each armrest are included that can hold your books, your remote, or even your reading glasses for full convenience. A small down lumbar pillow is also included for full lower back support. The superior bed lounger is a great solution for your relaxing needs. Big pockets are included for storage of your accessories all within easy reach. Easy cleaning and great comfort make this a perfect companion for your relaxing needs while supporting your body properly. Sometimes it is not just about support and comfort, but those few extras that can be a huge bonus. The Carepeutic Bed Lounger is not only a good support lounger, but it also comes with heat and massage for some extra benefits. The back part of this backrest chair is made of sturdy foam and does have a more sit up straight position. and it comes with both a heater and a massager in it. There is also a light that comes out over the top of the backrest that you can use to light your book or whatever you have in your hands. The armrests are detachable and held on using zippers on each side. There is a cup holder in the left side of the armrest where you can place your drink for easy access. There is also a pocket on each side of the armrest that can hold a book, magazine, your phone or your remote. The lounger comes with its own storage and carry bag, so after you remove the arms, you can place it all in one bag and keep it in a safe area for storage. If you are looking for that little bit more in your lounger while you are relaxing in bed, then this one has it all for you. 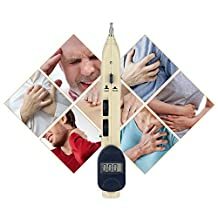 A little heat can help sore muscles, and the massager will help loosen things up for you while you concentrate on your book or watch television. The Bedlounge Classic is a complete bed lounging system that offers you full comfort for your back, your arms and your head. The back of the Bedlounge Classic is a one-piece unit that supports the back and the arms while you are relaxing. It is made of an aircraft grade urethane foam rubber core to create the basic shape of the lounger. The foam is then covered in a 2-inch fleece poly fiber to help contour your body, and then an additional feather and down layer is used in the outer layer to keep you in full comfort. The headrest is made of the same materials as the back support and is also adjustable in both height and can be rotated forward and back to help create the best head support no matter how tall you are. The unit is covered in a removable cover that is easy to remove and can be fully machine washable. Several different colors and materials are available including cotton twill, denim, velour fleece, and a microsuede. There are pockets on each end of the arms so you can keep your reading glasses or other items within quick and easy reach. The arms can be tied together and the headrest placed in the middle for easier storage. The Bedlounge classic is a fairly basic lounger but is what you are looking for if you spend a lot of time in bed. Materials can be chosen and matched to your bed or your room decor. The Zoemo Bed Rest Pillow is a big size pillow that is perfect for relaxing in your bed. The pillow itself is a largely stuffed pillow that uses a special blend of memory foam and regular foam filling that gives a decent amount of back support and helps to generate less heat to keep you comfortable while the pillow is being used. There is a zipper on the outer shell that can be opened and the stuffing accessed so you can add or remove stuffing for your favorite comfort levels. There are armrests on both sides that are part of the entire pillow. They are stuffed with the same stuffing and so are comfortable to lean your elbows or forearms on. A pocket on one side allows you to hold your phone, your remote or your reading glasses with ease, so you don’t lose them. The headrest can be moved around to make the base of the pillow higher or give you further neck support for a comfortable sitting position. If you desire, you can remove the headrest entirely and not use it at all. 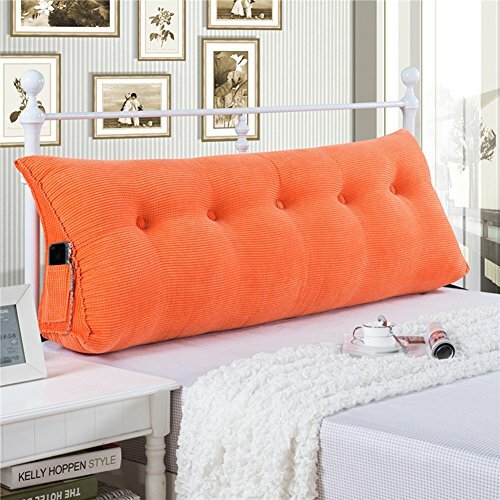 This is a very comfortable pillow that you can use for reading or any other bed type of activities. This pillow does come with a 100% money back guarantee so that if you don’t love it, they will refund all your money. There is even a 3-year warranty meaning that you can be assured of the pillows durability. This is a good sized reading pillow from mittaGonG that can be used in a bed, a sofa, or even on the floor. A big stuffed pillow uses high quality shredded foam padding for its filler. The back and arms are a single piece, and the foam can be moved around inside the pillow to create the best and most comfortable shape for your back and arms. The arm supports are thick and helps take the weight off your shoulders and neck muscles when reading or just resting your arms. There is a pocket on one side where you can hold your phone or your remote for quick and easy access. There is a large neck roll that is also included that is packed with the same materials. The neck roll is attached to the backrest by two buttons on each side of the pillow and can be removed by just detaching these buttons. There are two lower buttons that the neck roll can be attached to so you can use it as lumbar support instead of the neck support. The pillow has a handle on the top for easy transportation to your favorite sitting spots. The cover is also easily removable by undoing a zipper on the bottom and pulling out the inner pillow. The cover is fully machine washable. 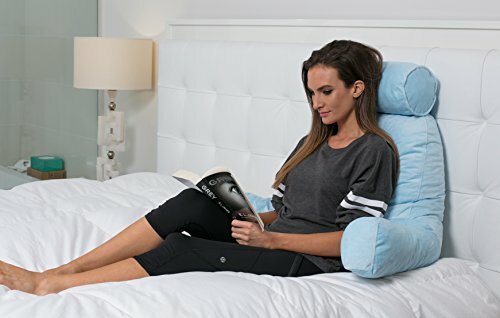 This is a good size, comfortable support cushion or pillow that can be used for reading in bed, or any other relaxing bed activities. It’s easily used by children or by adults who want a little more support while they are in bed. The Husband pillow is a tall shredded memory foam pillow with arms designed to give maximum comfort and support when relaxing in bed. The big fluffy center section is filled with shredded memory foam to give you a big base to lie against and to provide back support. The arms are attached to the back section and are a one-piece set up, so the memory foam is included in these parts as well. The included headrest is also filled with the shredded memory foam, and both the headrest and the back have zippers so you have access to the foam and you can add or remove foam to adjust for the comfort level you are looking for. The cover has its own zipper, and both the headrest and the back area covers can be removed from the pillow and machine washed. The cover has a pocket on the left side so you can hold your cellphone or your remote for your TV. On the back is a bigger pocket where you can keep a book or a magazine. The Husband pillow is a great soft bed pillow that is great for reading or watching TV while relaxing. You can choose from many different colors to suit your own decor or your personality. Sometimes all you need for support is something for the back, and Brookstone does a wedge that fits that bill exactly. The Bed Wedge is made from dense foam and then wrapped in memory foam to help conform to the natural curves of your body. The wedge is then covered in a NapSoft material that adds a level of luxury to lie on. While this material is supposed to be a spot clean only, there is a zipper and the cover can be removed and possibly hand washed or dry cleaned. This four-in-one pillow has four different uses. It can be used at a 60-degree angle for sitting up and supporting back while laying in bed. It can be used at a 30-degree angle for sleeping on at a slight angle, and it can be used as a support under your knees if you need to sleep or lie with your legs and knees elevated. This is a great sitting wedge that is easily moveable and can be used for sitting and relaxing or can be used to sleep on in a slightly inclined position. Backrests are useful for not only the bed but other places as well and so making your backrest inflatable it gives the ability to bring your backrest with you anywhere you go. This backrest is made from a strong, durable PVC flocking that is washable yet is also fully compressible. There are arms on either side that are long enough to hold your elbows and forearms in comfort while you are resting on the backrest. There is a good size 3.5 cm valve that you can use to blow up. It takes less than one minute to blow up to its full size. You can release the air by giving the valve a slight press and then squeezing the pillow to get all the air out. It is a good size when it is blown up but when it is fully collapsed it fits in a small bag that is 7 inches by 5 inches and can be hung from your backpack or kept in a bag for safe keeping. This is a great travel pillow you can take with you to the park, camping, reading in bed, sitting on the sofa or on the floor. Being inflatable means, you can take this about anywhere easily and blow it up there for your sitting comfort. The large triangular backrest is great for the headboard of a bed or if you want to turn your single bed into a daybed or couch type of set up. The pillow itself is made from a premium polyester filling, so it is not as firm as some of the other pillows on this list but still has a degree of comfort and is better support for reading or sitting in bed than having nothing at all. The pillow is covered in a corduroy material with decorative buttons to add a level of style. There is a small pocket on one side for your phone or remote, but the pocket is pretty small and can’t hold a tablet or a book. The cover can be removed and machine washed so clean up is a breeze. The pillow comes in several different sizes and colors and so it useful on many levels. You can use it as a headboard, or you can even flip it onto its other side and use it as an inclined pillow to sleep on making it even more useful. This is a great looking backrest that can also be functional as a pillow. It comes in many different lengths and sizes that are useful for all kinds of different bed sizes. When we lay in bed reading or watching television we tend to not really think about our back position. The more we enjoy this activity of sitting and relaxing in bed while we read each night or spend a few hours watching TV at night before sleeping, using an improper body position for our back and neck can lead to a lot of back complications. Even those of us how meditate can benefit from using supportive meditation chairs while we sit for long periods of time. Crossing your feet while sitting can cause hip issues as this spreads the hips and tends to put them in an unnatural position and puts strain on muscles and ligaments. This is not going to be an immediate problem but can manifest over a long period of time sitting in the same position day after day. Arching your back can cause a lot of lower back issues especially in your Sacroiliac Joint or SI Joint which is where the spine connects with the pelvis. 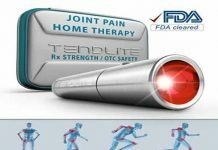 This large joint does not have a lot of movement but does have large ligaments that hold everything together. By sitting in a position that does not align this joint properly (as you’d get using a backrest pillow), it causes a lot of stress to these ligaments. Again, the effects aren’t going to be noticed right away but can lead to a lot of problems later on including bad cases of Sacroiliitis. This lower back area also contains a lot of essential nerves, and when you sit in a poor position, it spreads out these lower joints which can compress nerve clusters which can lead to Sciatica pain in your lower back or your legs. When you sit with your head not supported properly or in a forward down position it can create a lot of issues in your neck while reading. This position tends to stretch out the neck muscles which can lead to a lot of muscle strain and opens up the door for some people to experience migraines. When you are relaxed, and in a seated position, your shoulders tend to slouch or hang down slightly. This can cause strain on your rotator cuff and the ligaments in your shoulders and can cause a lot of muscle strain in your back and chest. This is why you see people use travel neck pillows when sitting upright for extended periods of time. This video will help to show you where some of these problems are and what a proper seated posture is when you are seated in bed. All of these issues and pains are not something that will happen right away, but if you make reading in bed a habit or something you do every night, then some or even all of these issues can manifest over time. Whether you’re an adult or teenager, the best thing to do is to be sure that when you are relaxing in your bed that you take care of your head and back properly. With a proper lounger and good support for your back, your neck, and your knees you can be sure that you can spend many hours engrossed in a great book and not be worried about what it will do to your posture in the years to come. Like with any purchase it is a good idea to do your research first. With the list on this page, you can find everything from a high-end orthodic system to just a quick and dirty backrest that looks good and is functional. It is best to find what is best for your needs. 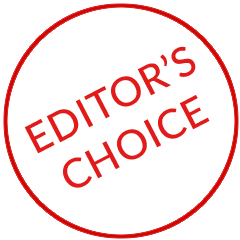 Read reviews and take into consideration both positive and negative feedback and consider that everyone is a little different. For example, while one person’s idea of firm is almost rock hard, another can consider firm something you still sink into slightly yet offers a lot of support. So be sure to take these kinds of things into consideration when you are reading feedback. Budget is always important when you are doing your shopping. Running out and buying the most expensive set up there is may not be the best thing for you as it may not offer you the options you are really needing or wanting. A lot of the best backrest pillows can also be used as sleeping pillows as well if you are looking to sleep in a more inclined position to help with other body ailments or to help with snoring. 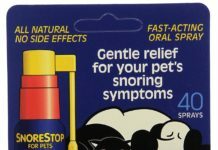 But not all the products on this list will be good for this type of sleeping arrangement. Be sure to check each pillow’s primary use before making a purchase. It may be designed to be a sleeping pillow primarily and a sitting backrest secondary. Or, it could be just a luxury item to lean on and take some of the stress off your back and neck while in a seated position.